BERLIN (Bloomberg) -- German Chancellor Angela Merkel's government is edging toward tax incentives for electric cars after months of arguing over how to boost sales of the vehicles in Europe's biggest economy, according to a person familiar with the matter. With Finance Minister Wolfgang Schaeuble opposed to plans by Vice Chancellor Sigmar Gabriel to offer consumers a cash rebate of as much as 5,000 euros ($5,475), tax incentives are emerging as a likely compromise, said the person, who asked not to be identified discussing details of talks within Merkel's coalition. It's unclear whether any deal would consist only of tax breaks or combine the two approaches. A Finance Ministry spokesman declined to comment. "Cash rebates cost billions, which is hardly feasible in view of the budget situation," Peter Ramsauer, a member of Merkel's party bloc who chairs the German parliament's economic affairs committee, said in an interview. In contrast, "making part of the purchase price tax-deductible is an incentive that can make sense," said Ramsauer, a former transportation minister in Merkel's administration. Merkel hinted last month that she may back subsidies to reach her goal of 1 million electric cars on German streets by 2020, even as Schaeuble sets aside Germany's federal budget surplus to care for some 1 million refugees who arrived last year. Just over 30,000 electric vehicles have been sold in Germany, a tiny fraction of the more than 3 million cars bought each year in a country that has historically leaned on diesel technology to reduce emissions. The industry sees incentives as a potential game changer due to the size of the German market, which accounts for nearly a quarter of all auto sales across Europe. Auto executives point to France, where the government last year started offering a 10,000 euro rebate to drivers trading in diesel-powered cars older than 14 years, and Norway as examples of how governments can aid in the development of the market for the green technology. In Norway, electric cars enjoy a variety of perks. There's no value-added tax on purchases nor a one-time fee imposed on regular cars. There is also free charging, free parking and an exemption from congestion charges. On top of that, electric-car owners are allowed to drive in bus lanes to avoid traffic. In the U.S., buyers can claim a federal tax credit of as much as $7,500. BMW Group CEO Harald Krueger said last week the industry needs government support to boost sales and that executives will gather again with Merkel in April to discuss the matter after meeting with her last month. 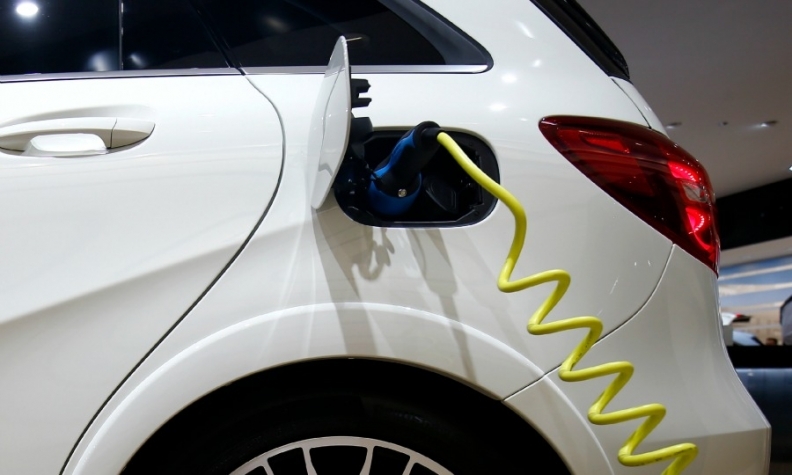 Merkel's government is pushing the automotive industry to shoulder part of the cost of any incentives, which would help offset the higher cost of electric vehicles.